The observation raises the possibility that real-time monitoring of similar precursory signals from large faults could one day be used as a tool for forecasting damaging earthquakes. 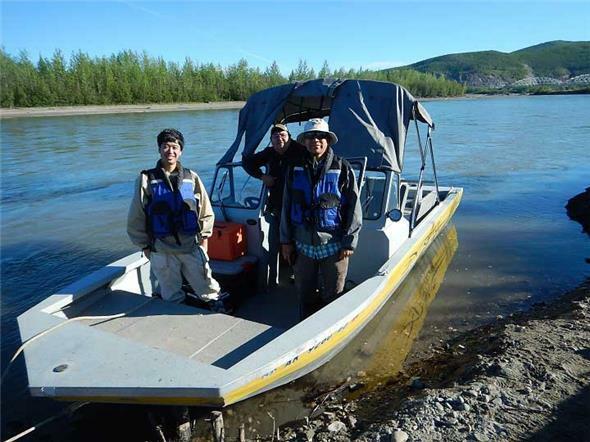 The research team, which included seismologist Yoshi Kaneko of GNS Science, studied a number of earthquakes on the 180 kilometres-long Minto Flats Fault Zone in central Alaska. They found that two quakes some years apart, of magnitude 3.7 and 3.8, were preceded by a ‘nucleation process’ characterised by a radiation of high- and low-frequency waves lasting about 20 seconds. The research was published in Nature Geoscience this week under the title ‘Earthquake nucleation and fault slip complexity in the lower crust of central Alaska’. The process, predicted only by computer models and laboratory analogue experiments at this stage, involved numerous smaller earthquakes and a very-low-frequency earthquake occurring at about 19 kilometres deep that transitions into a normal earthquake. The generally accepted view is that earthquakes start abruptly, with no evidence of a precursory process. However, Alaskan research has shown there are complex processes at play deep within the seismogenic zone of some large faults. Dr Kaneko said the study benefitted from a temporary deployment of earthquake recording instruments in the region that was not well monitored previously. The instruments enabled precise measurement of timing, depth, and location of the precursory signals that led up to the earthquakes. To explain the nucleation process, the study proposed a computer model in which slow slip on a fault transitions to fast slip that results in a normal earthquake. Dr Kaneko added that more work would be needed to confirm the validity of the computer model of the Alaskan nucleation process. “Research from around the world suggests these types of precursory signals are very rare. We haven’t rigorously searched for this type of signal in New Zealand yet, but we plan to do this in the future,” he said. It was not known if faults in New Zealand would show the same kind of precursory activity as the Alaskan fault. This research has been done as a part of a long-standing collaboration between seismologists Dr Carl Tape from The University of Alaska Fairbanks and Yoshihiro Kaneko of GNS Science. Dr Kaneko's research on this project was supported by a Rutherford Discovery Fellowship funded by the Royal Society of New Zealand. 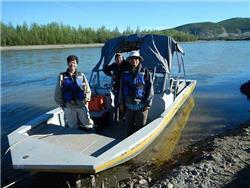 Scientists, including Yoshi Kaneko of GNS Science (left) use a boat to service seismic equipment in the Minto Flats region of central Alaska. Photo: Carl Tape, University of Alaska Fairbanks.